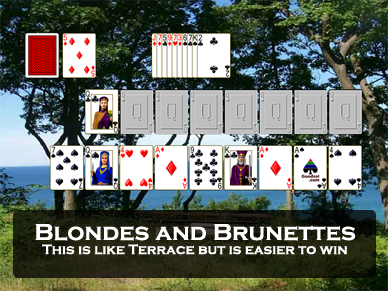 Screen shot of the game Terrace from Pretty Good Solitaire. 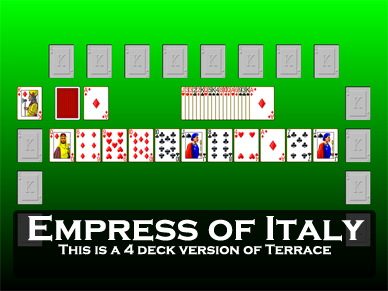 The classic game Terrace is also known as Queen of Italy. 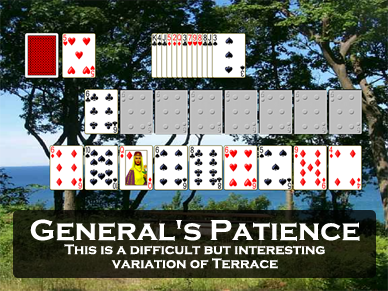 Terrace is an under-appreciated game of skill. One of the things that makes Terrace a good game is the rare ability to choose the first foundation base card. This choice makes the first move of the game also the most important, and by making the right choice you can greatly affect your chances of winning. Terrace begins with eleven cards dealt to a reserve pile. Cards in the reserve pile can only be played to the foundations, not to the tableau. There are eight foundation piles which will be built up in alternate color from the rank of first card moved to the first pile, wrapping from King to Ace as necessary, until each pile contains 13 cards. 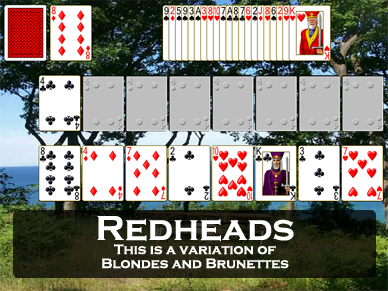 One card is dealt to each of the first four tableau piles (there are nine tableau piles in total). The game begins by choosing the first card of the first foundation pile, which will decide what rank will start each foundation pile. You can choose any of the four cards in the tableau. 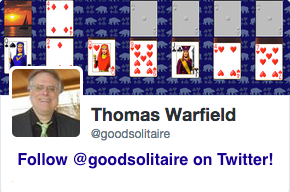 The rank of this first card of the foundations is a critical decision. Cards in the reserve can only be played to the foundations, so you need to choose a card that will allow you to get out as many of the 11 reserve cards as possible as quickly as possible. You need to look at what ranks are in the reserve and what ranks are available to you to play and figure out which one works best. Once you select a card and play it to the first foundation pile, one card will be dealt to the remaining empty tableau piles and the remainder of the cards in the two decks then form a stock, which will be turned over one card a time to a waste pile. The 9 tableau piles will be built down in alternate color. Only the top card of each pile may be moved. Spaces may be filled by a card from the waste only. Play continues by building on the tableau and running through the stock. When the stock is empty the waste may be turned over to form a new stock by clicking on the empty stock. 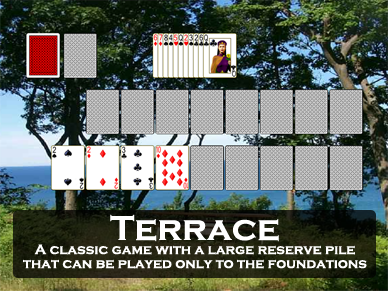 Cards may then then be played to the foundations or tableau until an unplayable card is reached (which ends the game). 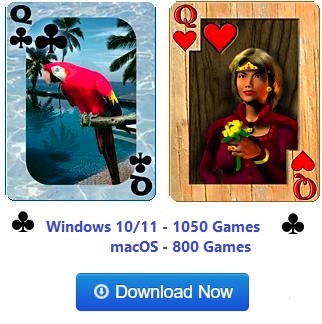 Terrace is one of the 850 games in Pretty Good Solitaire and one of the 101 games in Goodsol Solitaire 101.